Assistant professor of urban and regional planning at the School of Architecture NTUA. 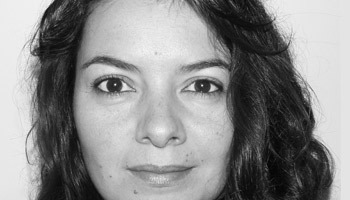 After her studies in architecture in Athens, she obtained a DEA in urban geography and planning in Paris (University Paris X – Nanterre) and a PhD in urban and regional planning in Athens. 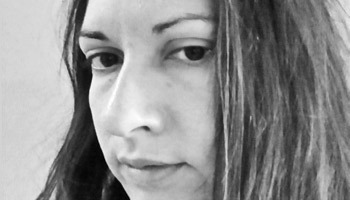 Her research concerns the collective appropriation of space (procedures, policies, practices, representations), as well as the location of productive activities in urban and rural areas. Recent publications are related to urban regeneration policies, deregulation of space and privatizations in the context of structural adjustment. Currently, she is working on the perception of space in infancy. Geographer, MSc in “European Policies, Planning and Spatial Development” and currently PhD candidate at Harokopio University in the field of Social Geography. Her thesis is about social housing in Athens since 1922 examined through the development of two public estate settlements (Dourgouti and Tavros) produced for refugees of the 1920s. 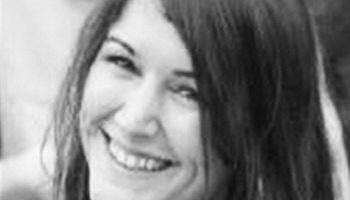 Her research interests include social and urban geography with a focus on housing issues. Dr. urban and regional planner and research associate at the Department of Social Policy (Panteion University). 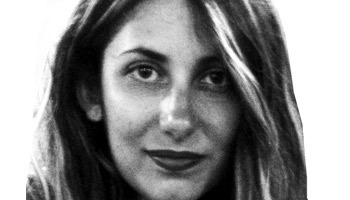 After completing her Bachelors in the Department of Planning and Regional Development (University of Thessaly) she obtained a master’s degree in rural development and natural resource management (CIHEAM, IAM Montpellier) and received her Phd in 2012 from the School of Architecture (National Technical University of Athens). Her doctoral research examined the periurban dynamics and socio-spatial transformations in Metropolitan Athens. Her research and teaching topics cover spatial planning and new approaches to sustainable urban development, with particular focus on urban sprawl, urban-rural relationships, local development and green space governance. Emeritus professor of Political Science, University of Athens, where he taught from 1986 to 2014. He worked as a researcher in electoral sociology and political culture at the National Centre for Social Research (EKKE) from 1975 to 1986. 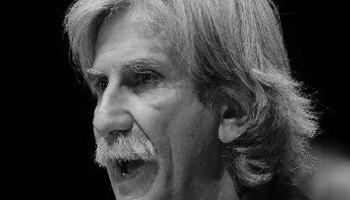 He has published widely on issues of political history, elections and electoral sociology and has collaborated with the Centre d’ Etudes de la Vie Politique Française (CEVIPOF), the Centro de Investigaciones Sociologicas in Madrid (CIS), and the Universities of Budapest and Madrid (Universita Autonoma). Professor of Spatial Planning in the University of Thessaly, Director of the Laboratory of Urban and Regional Planning. 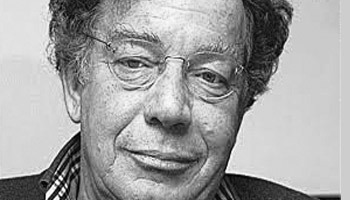 Formerly he was Researcher in the Centre of Urban Research, Paris and the National Centre for Social Research (Athens), and National Delegate in the Economic Commission for Europe, United Nations. 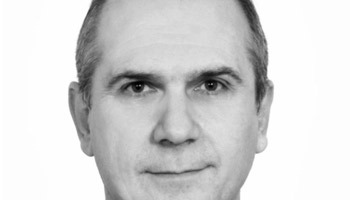 He has directed several research programs in spatial planning and development, His recent research interest include the European and International spatial policies and planning, spatial planning in Greece and urban regeneration. Assistant Professor of Urban Design and Planning at the Department of Urban and Regional Planning of NTUA. Previously he has been Adjunct Lecturer at the Department of Geography of the University of the Aegean. His research work focuses on the particularities of planning and governance in the Mediterranean city. He has studied the impact of the Olympics on urban governance and evolution of metropolitan planning in Athens. He has conducted various planning projects in Greece and the wider region. Staff member, Research unit “Environment and Spatial Planning” at the University of Thessaly. He is graduate of the Dept. of Planning and Regional Development-University of Thessaly and holds a MSc of the same department. In the last three years he is PhD candidate at Dept. of Economic and Regional Development-Panteion University. He has extensive experience as a member of research groups in a number of projects and studies and as technical editor of scientific publications. 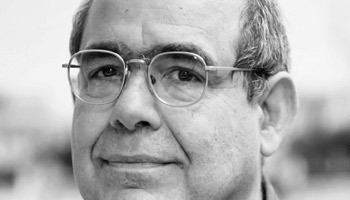 His research interests focus on quantitative methods and cartographic representation techniques with emphasis on spatial inequality analysis. Professor of Political Science at the Department of Political Science of the University of Athens. She specializes in issues referring to the cultural aspects of politics. The main areas of her research interests refer to the Greek political culture, political action and democracy, the young as political actors and to issues of democracy and gender inequality. 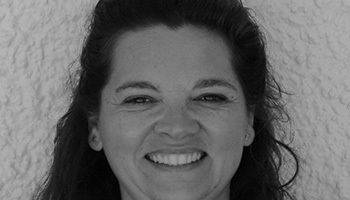 She has directed many research projects and is the author of several articles and nine books. From 2014 to 2016 she was president of the Hellenic Political Science Association. MSc student in Geoinformatics at National Technical University of Athens. Holder of a Bachelor’s degree in Geography from Harokopio University and in Civil Engineering Works, Department of Civil Works and Infrastructure Technology at the Technological Educational Institute of Athens. He is developing GIS tools using R and webGIS applications using shiny. Assistant Professor at the School of Agriculture at the Aristotle University of Thessaloniki. Her academic field is Rural Sociology and her main research interests and teaching falls within several topics such as small farmers, family farming, social capital, pluriactivity in rural areas as well as contemporary issues in regards to food Sovereignty and new forms of food governance between the Rural and the Urban (Short Supply Chains, Urban Agriculture, Community Supported Agriculture). She lives in the periurban and flits between the city and the rural. MSc Architect Engineer AUTH – Urbanist NTUA, PhD student in the University Paris 8 and the Architecture School of NTUA (Scholar of Greek State Scholarships Foundation) exploring the tendances of financialisation of housing in Greece. Researcher in the Laboratoire Dynamiques socials et recomposition des espaces (LADYSS), in the Architecture School of NTUA and the Geography Department of KU Leuven University («The Real Estate / Financial Complex» research program). Her main research interests focus on real estate market and production systems, city centre changes (gentrification), the intersection of housing and dept and on financial and social exclusion. Doctor of Urban Analysis and Development, University of Thessaly and Special Advisor to the Secretary General for Research and Technology, Ministry of Education. 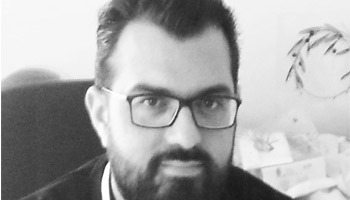 In the academic/ research field, he has worked as a research associate and teaching assistant at the Laboratory for Regional Economic Analysis (Department of Planning and Regional Development) and at the South-east European Development Centre, University of Thessaly. In public sector, he has worked as Special Advisor to the Secretary General for Investment and Development, in the Ministry of Economy. In private sector he has been employed as senior consultant in development studies of Regional Authorities and Ministries. His research interests focus on economic and social urban evolution, as well as on development and operational planning. Graduate of the MA Program « International and European Policies for Education, Training and Research » at the University of Piraeus. 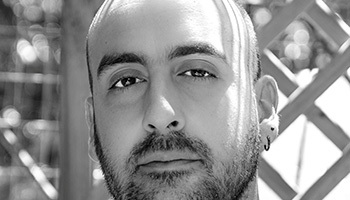 Graduate of the Drama School of Athens G. Theodosiadis and of the Department of European Culture of the Hellenic Open University (2013). She has attended numerous seminars on various types of theater in Greece and Paris as well as dance lessons. Since 2001 she has been working as an actor and has worked with several directors. Has presented her work both in Greece and abroad (Hungary, Argentina, England, etc.). She has worked as a director, assistant director, choreographer assistant, production supervisor, etc. Since 2007 he has been a member of the Okypus Theater. He has written two theatrical plays for children presented in theatres in Greece and abroad. He holds a Ph.D. in the field of Urban Geography by the National Technical University of Athens (2015). 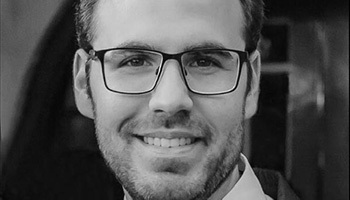 His PhD research concerns the ways power relations among key urban actors of differentiated organization structures and origin (state and local authorities, economy actors and social movements) are developed and the ways they influence contemporary urban politics, modes of governance and practices in metropolitan urban areas. In 2009, he completed the MSc program in Regional and Urban Planning Studies at London School of Economics and Political Science, while he holds a degree in Urban Planning and Development (University of Thessaly). His research includes the study of forms of urban governance, urban movements and the social and political dimensions of urban public space. Researcher at the National Centre for Social Research, Athens. He holds a PhD in Social Anthropology (Panteion University of Social and Political Sciences, Athens, 2005). He gave lectures at Panteion University and the Hellenic Open University. 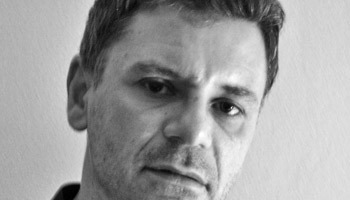 His research interests and publications focus on anthropological approach to rural space and rural-urban relationships, particularly on the socioeconomic changes, multifunctionality and socio-spatial recomposition, social mobilities, migration movements, identity and cultural renegotiations of social actors, and social conflicts in local government. Γεωγράφος και υποψήφια διδάκτωρ στο Χαροκόπειο Πανεπιστήμιο και στο πανεπιστήμιο Aix-Marseille της Γαλλίας. Από το 2010, η έρευνά της εστιάζει στον έλεγχο της μετανάστευσης στα σύνορα μεταξύ Ελλάδας και Τουρκίας. Έχει διεξαγάγει έρευνα πεδίου από τον Έβρο μέχρι τα Δωδεκάνησα, προκειμένου να καλύψει τη συνοριακή περιοχή, να αναλύσει τις μορφές του εδαφικού ελέγχου και να κατανοήσει τους σύγχρονους μετασχηματισμούς των συνόρων. Historian, assistant researcher in the Institute for Mediterranean Studies. He has taught at the University of Crete, and has conducted post-doctoral research at the University of Thessaly. Author of the books (in Greek) Noikokyraioi. Shopkeepers and master artisans in Athens 1880-1925 and Noble pachyderms and suffering workers. Topical histories from the beginnings of the 20th century. His forthcoming book is about the carnival of Athens 1800-1940. Architect, MSc Urban Planner NTUA. PhD Candidate School of Architecture NTUA on the field of gendered approaches of urban social movements in Athens. Research associate of Urban Environment Lab NTUA with participation on the projects “Hellinikon Metropolitan Park”, “Network of Day Nursery in Athens” etc. Her research interests combine the gendered approaches to the conception and use of urban spaces with the social and environment aspects of urban (mega) projects. 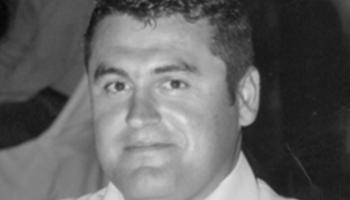 Civil engineer, NTUA; MSc in Urban and Regional Development and PhD in Urban Planning, University of Thessaly. 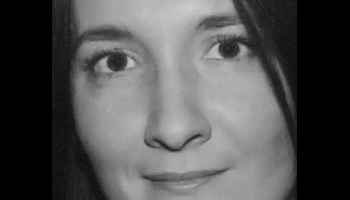 Her work is focused on quality of life in cities, urban development, the contribution of culture and leisure industries in urban development and in the changes observed in city centres. Staff member of the Department of Planning, University of Thessaly. Previously worked as researcher in laboratories at the School of Architecture, NTUA and the Department of Planning, University of Thessaly. 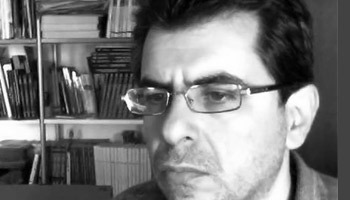 Yannis Psycharis is a Professor of Regional Economic Analysis at the Department Economic and Regional Development, Panteion University of Social and Political Sciences, Athens, Greece. He has also taught at the Department of Planning and Regional Development of the University of Thessaly in Volos (2000-2009). 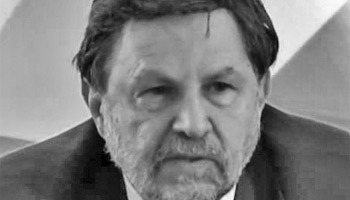 He is the former Director of the Greek National School of Public Administration and Local Government (2010-2012) and is currently President of the Greek section of the European Regional Science Association. His research interests include regional economic analysis, regional policy, regional public finance and public administration. 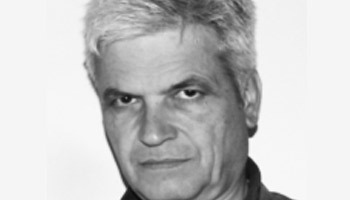 Architect, graduate of the Department of Architecture of the Polytechnic School of the Aristotle University of Thessaloniki. Postgraduate studies in Urban Planning at the National Technical University of Athens. 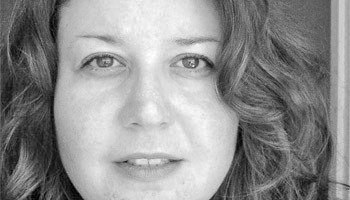 Her research interests include spatial and social changes in urban centers, with a focus on the center of Athens and the different forms of urban “rehabilitation”. She currently follows the postgraduate program in Museum Studies at the University of Athens. Dr Aris Sapounakis is an Associate Professor at the Department of Planning and Regional Development of the University of Thessaly. Being the representative in the European Observatory on Homelessness for Greece for 13 years, he is one of the most important researchers on the issue of access to housing for vulnerable groups in his country. Apart from his work on homelessness, his 40 years of experience in urban issues ranges from urban regeneration and planning to architecture and landscape management. Professor (Spatial Planning, and Natural Disaster Management), Department of Geography, Harokopio University of Athens. PhD in Risk Management -Spatial Planning, National Technical University of Athens 1990, MA in Urban Design, University of Manchester 1981, Diploma in Architecture, NTUA 1980. She has been the scientific leader of the Greek participation of EC research projects focusing on Vulnerability and Risk Governance. She has published her work in international books and scientific journals focusing on Risk and Disaster Management, Risk and Territorial Governance, Spatial Planning, Local and Regional (Sustainable) Development. She has offered lectures at several universities across Europe. Professor, Dept. of Planning and Regional Development, University of Thessaly, Director of the Research Unit for Infrastructure, Technology Policy and Development, Co-ordinator of the Unit of Innovation and Entrepreneurship of UTH. Visiting Professor CURDS, University of Newcastle upon Tyne (2009), and Honorary Senior Research Associate, Bartlett DPU/UCL (2016). Has served as Dean of the School of Engineering, UTH, President of the Department, member of the Executive Committee of the Organization for Planning and Environmental Protection of Athens (2011-2014), of the Executive Committee of the Association of European Schools of Planning, and of the Steering Committee of the Global Planning Education Associations Network (2007-2012). His interests focus on technological infrastructures, metropolitan spatial planning, innovation and tourism. BA in History and Archaeology, University of Athens, MPhil in Ottoman Studies, University of Birmingham. Currently conducts doctoral research on Ottoman Athens (18th – early 19th c). 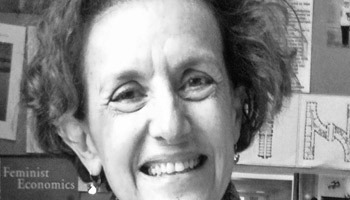 She has collaborated in research projects of history and historical cartography at the National Research Foundation and the Institute for Mediterranean Studies. Since 2015 she has developed an educational programme about Ottoman Athens at Aikaterini Laskaridis Foundation in Piraeus. She is interested in the social and economic history of the Ottoman Empire, urban history, historical cartography and in archaeological excavations. At the same time she teaches and translates from Turkish. Studied “Public Administration” in Panteion University of Social and Political Sciences and got his MSc in “Applied Geography and Spatial Planning” in Harokopio University. He is currently PhD candidate at Harokopio University in the field of Social Geography (Thesis: “The implications of emigration of Greek scientists in the broader area of Athens”). Furthermore he is member of the Economic Chamber of Greece. His research interests include social and urban geography. Studied modern and contemporary history in University of Thessaly. He participated as a researcher in programmes concerning industrial heritage, labour history and industrial archives management. In 2011-2013 Yannis undertook the archival and historical research on behalf of Athens Industrial Gas Museum. He submitted in 2016 his PhD on the social question of tuberculosis. His academic interests include social history of health and labour, business history, archives management and industrial heritage. Since 2017 he is affiliated as an adjunct lecturer with the Archives & Library Science Department in the University of West Attica. Professor of Industrial Geography at Harokopio University. Visiting Research Fellow at University of Cardiff (2011-12) and Utrecht (2016). She has coordinated research projects on spatial development and spatial cooperation of small firms. 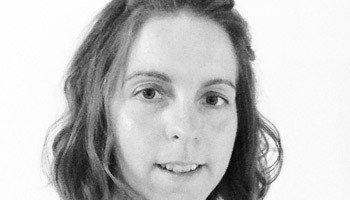 Her research interests are focused on the Agri-food Economic Geography, the formation of short agri-food supply chains and the restructuring of food retailing. Professor of architectural theory at the National Technical University of Athens, School of Architecture. He has studied architecture, town planning, geography and philosophy in Athens and Paris. He has authored many books including Adolf Loos (1994), The Historiography of Modern Architecture (1999) and The Diagonal of Le Corbusier (2010). His recent work investigates the legacy of Le Corbusier in Greece and the reinvention of the city centre in metropolitan Athens. 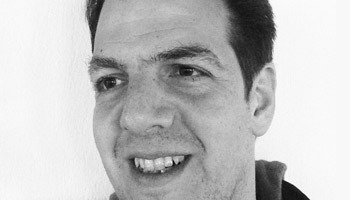 Nikos Triantafyllopoulos is assistant professor at the Department of Planning and Regional Development, University of Thessaly. He is a qualified surveyor engineer (AUTH) with postgraduate studies in urban planning in Paris. For fifteen years he has worked on real estate development in private and public sector companies. His research and teaching works concern urban policy, urban regeneration, real estate markets, real estate development, public-private partnerships and public procurement. He is a member of the Laboratory and Teaching Stuff at the Department of International and European Studies of the University of Piraeus. He had his PhD at the Department of Communication and Media Studies of the National and Kapodistrian University of Athens, his MA degree in Mass Media and Communications at the University of Leeds, and his Ptychion at the department of Business Administration of the Economic University of Athens. His research interests are focused on subjects concerning Mass Media, Gender, Culture and Society. Associate Professor in Geographical Information Systems and Thematic Cartography at the Department of Surveying and Geoinformatics at the Technological Educational Institute of Athens. He is Director of the Geospatial Technology Research Laboratory. He is a scientific associate of research organizations on geospatial analysis of disease spreading, an approved counselor from the Ministry of Culture on Geoinformatics in Archeology. He participates in national and international research programs, with publications in international journals and conferences and international references on his work. He is also a reviewer of scientific papers in international journals. 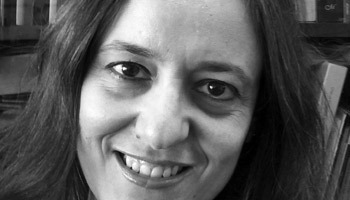 Dina Vaiou is Professor of urban analysis and gender studies in the Department of Urban and Regional Planning of the National Technical University of Athens (NTUA) and coordinator of the postgraduate program “Urban and Regional Planning”. 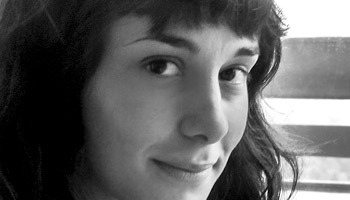 Her research interests and numerous publications in Greece and abroad include: the feminist critique of urban analysis, the changing features of local labour markets, with special emphasis on women’s work and informalisation processes, the impact of mass migration on Southern European cities and women’s migration in particular, the gendered imprint of the crisis on the city. Sociologist with extensive research experience in the study of education systems, employment and labor market. In her PhD thesis studies, in the light of the theory of Pierre Bourdieu, “the ‘field’ of elite private secondary education in Greece”. 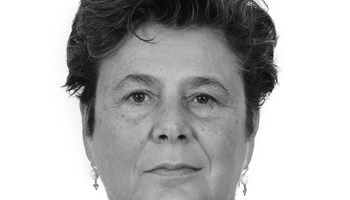 She has worked at the Research Centre for Greek Society of the Academy of Athens, Institute of Labour (INE GSEE), National Centre of Social Research (EKKE), Panteion University – Centre of Social Morphology and Social Policy, University of Thessaly and University of Aegean. 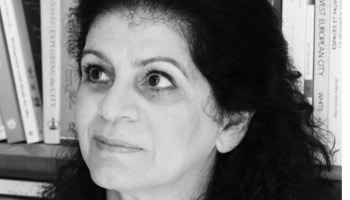 Her work are published in Greek and international journals and collective volumes. Since 2013, she is scientific personnel of the Small Enterprises’ Institute (IME GSEVEE). 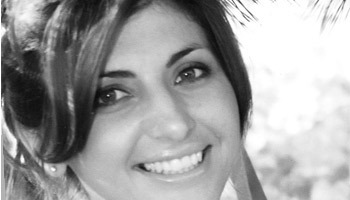 Fereniki Vatavali is an architect engineer and has received a MSc and a PhD on Urban and Regional Planning from NTUA. She has taught urban planning, regional planning and environmental planning at NTUA, Democritus University of Thrace, Hellenic Open University and Polis University of Tirana. She has participated in several research projects on issues related with the processes of urban development of the Greek cities, as a member of the Laboratory of Urban Environment NTUA. Her research interests focus on the production of urban space, housing, landownership, urban policies, environment and energy. She holds a PhD from the Department of Planning and Regional Development at the University of Thessaly. She holds an MA in Political Science and Sociology from the University of Athens and she graduated in Political Science and International Affairs at the Panteion University. 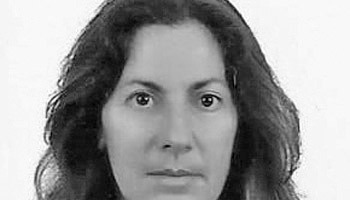 She worked as a researcher on research projects in cooperation with the Department of Planning and Regional Development – University of Thessaly, with the National Centre of Social Research in Greece and Panteion University. Her research interests focus on social segregation and urban education, social and spatial integration of immigrants and social cohesion. 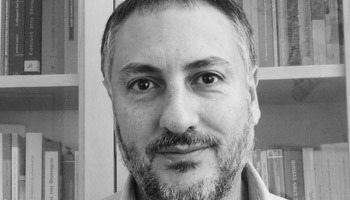 Thanos Vlastos is professor of urban and transport planning at the National Technical University of Athens (NTUA). He founded the Sustainable Mobility Unit (SMU). He taught for 10 years in the Hellenic Open University. 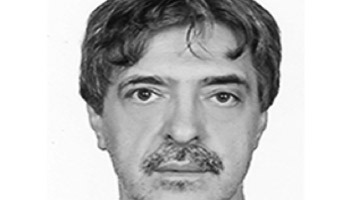 He is architect (NTUA) and civil engineer (ESTP – Paris), CES (ENPC) and PhD (Liège University -Belgium). He has published books, papers in journals and conference proceedings. His work is focused on Sustainable Mobility. He was the scientific coordinator in many projects. He represented Greece in different institutions.